«Kuban morning»; 110х150; Oil on canvas; 2012. «Mother in spring garden»110х150; Oil on canvas; 2012. 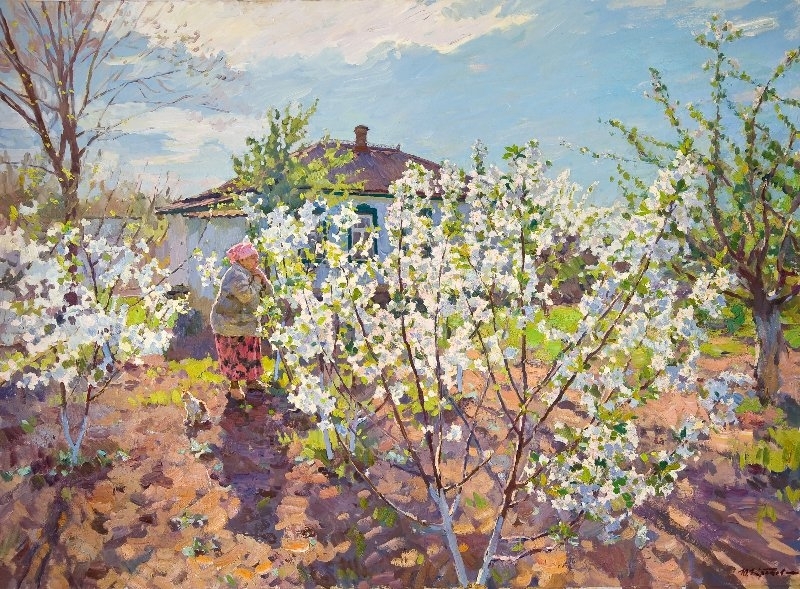 «Kuban morning»110х150; Oil on canvas; 2012. 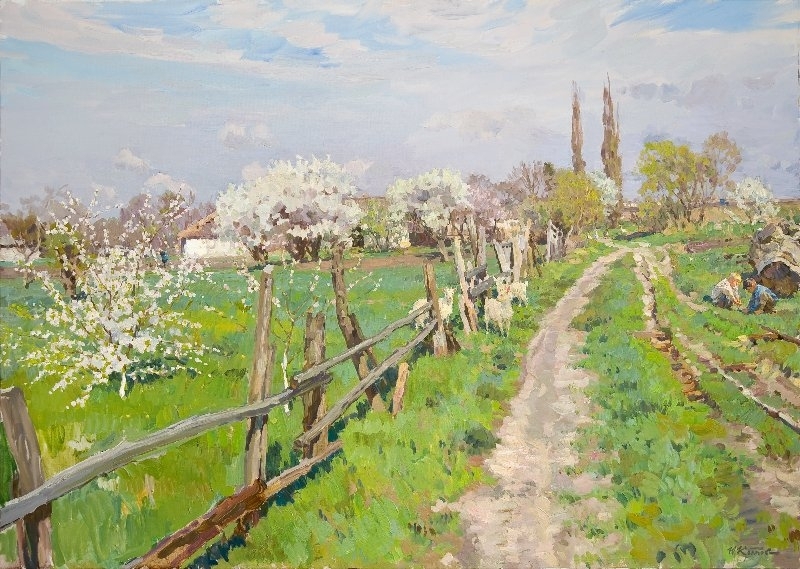 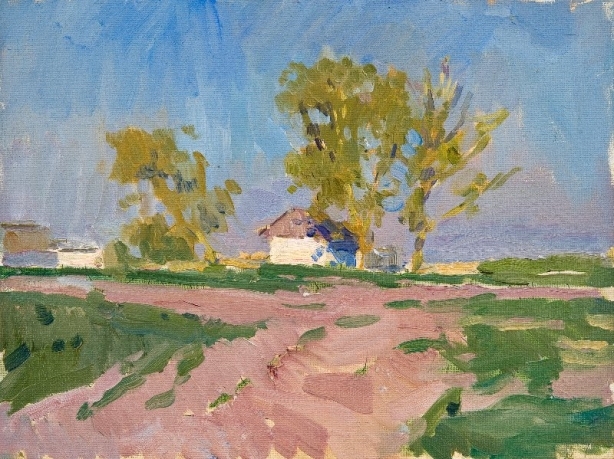 «Spring in Grivenskoy»110х156; Oil on canvas; 2012. 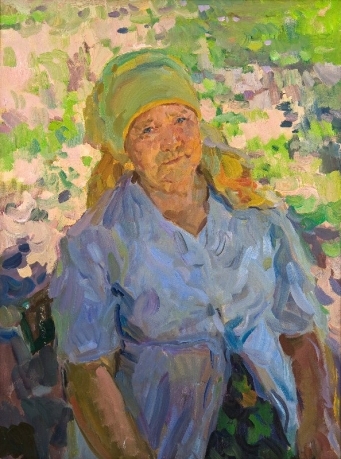 «Mam»80х60; Oil on canvas; 2009. 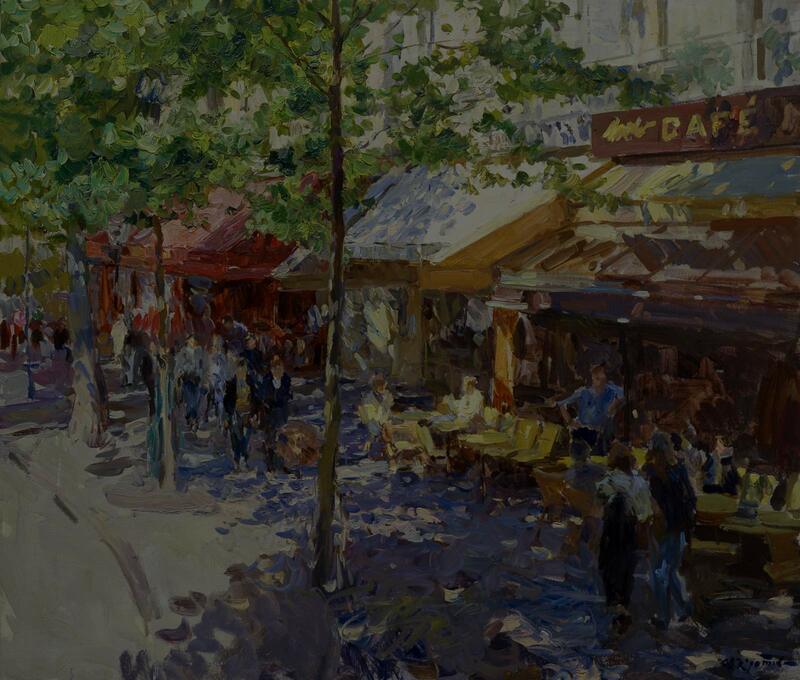 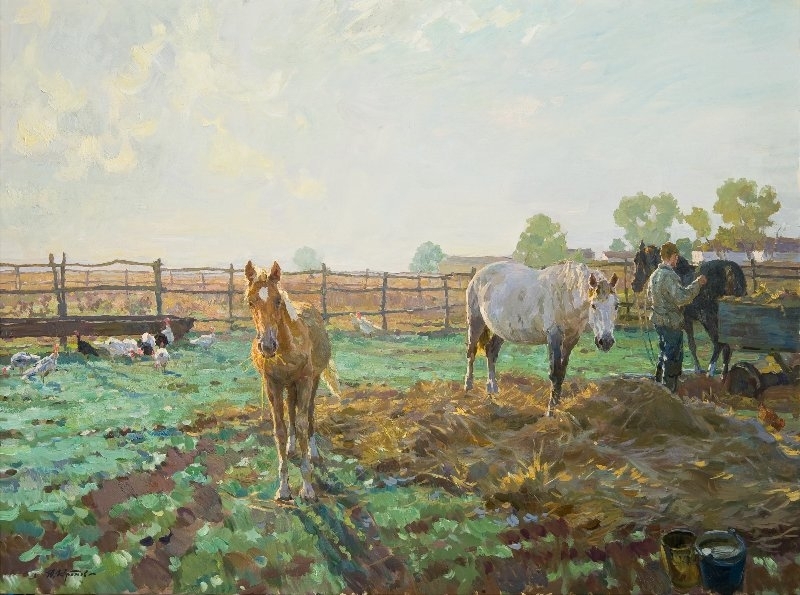 «The morning light»33х24; Oil on canvas; 2012. 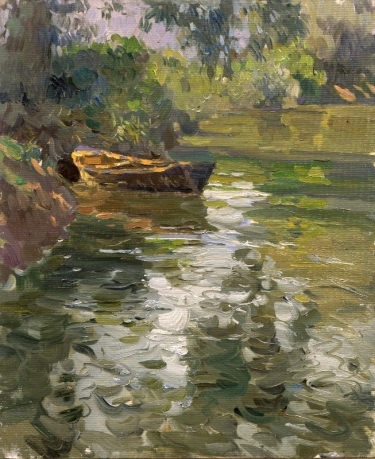 «A boat»50х64; Oil on canvas; 2005. 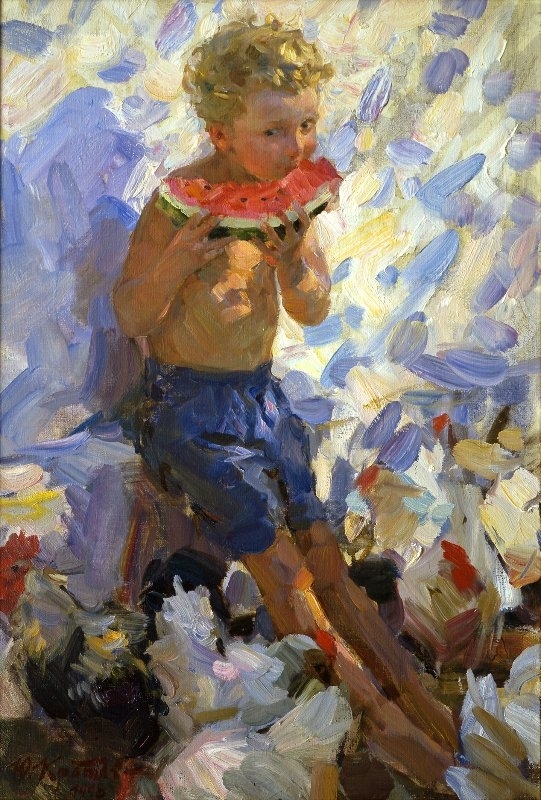 «Alesha with a watermelon»38х50; Oil on canvas; 1988. 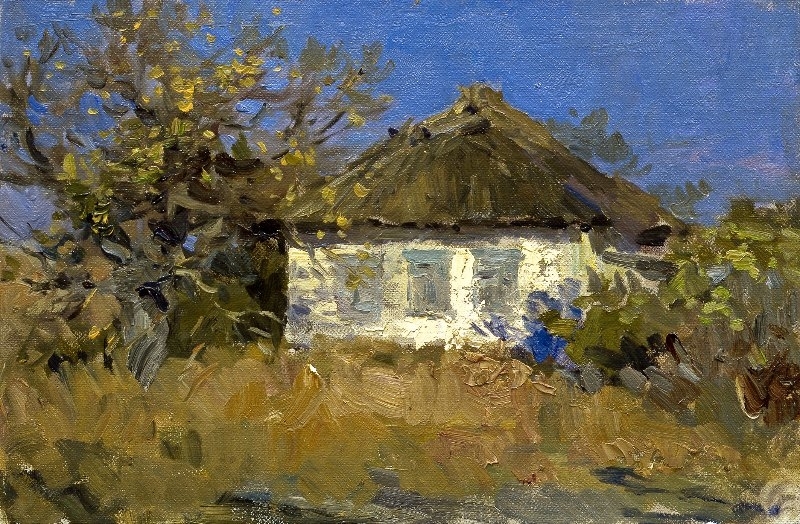 «November sun in the Kuban»24х33; Oil on canvas; 1997.